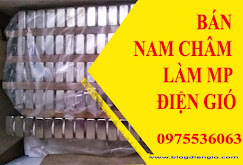 Chào các bạn dưới đây là một số bài tập về các dạng đảo ngữ có đáp án. 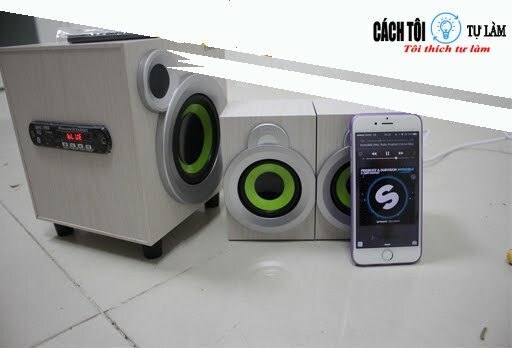 Chúc các bạn ôn tập vui vẻ. 11. I'll never forget you.=> Never ………………………………………………………………..
III. 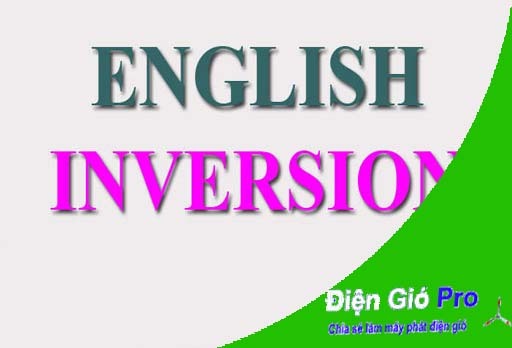 Rewrite these sentences, using inversion with NOT. 4. He is both intelligent and handsome.=> Not only……………………………………………………………………. 5. She is impatient and dishonest. 6. The bus not only crashed into a tree, but it also ran over a cat. 7. She not only wrote the text but also selected the illustrations. 8. She is not only beautiful but also attractive. 9. He translated not only fast but also correctly. 10. They are not only good at mathematics but also at science. 11. She not only sings but also dances. IV. Rewrite each of the following sentences with the given words in such a way that it means the same as the sentence printed above it. 1. He had hardly left the office when the telephone rang. 2. I had only just put the phone down when the boss rang back. 3. He didn’t finish his work until the bell rang. 4. We only began to see the symptoms of the disease after several months. 5. A sleeping dog was lying under the table. 6. His brother had rarely been more excited. 7. The facts were not all made public until later. 8. If I had realized what would happen, I wouldn’t have accepted the job. V. Rewrite each of the following sentences with the given words in such a way that it means the same as the sentence printed above it. 1.He only thought about having a holiday abroad after he retired. 2. I only realized how dangerous the situation had been when I got home. 3. It wasn’t until last week that the Agriculture Minister admitted defeat. 4. I understood Hamlet only after seeing it on the stage. 5. They didn’t get round to business until they had finished eating. 6. They had to wait for twelve hours before their flight left. 7. I didn’t realize who he was until later. 8. The door could not be opened without using force. 9. I won’t agree until Tom’s apologized. 10.The only way you can become a good athlete is by training hard every day. VI. Rewrite these sentences, using inversion with SHOULD. 1. If the Government are forced into another election, it will be the favorite to win. 3. If you have further problems with your printer, contact your dealer for advice. 4. If you decide to accept the post, you will be expected to start work on 1st April. 5. If we hear any further news, we will be in touch immediately. 6. If you wish to take advantage of the offer, kindly tick the box on your order form. 7. If you change your mind, there will always be a job for you here. 1. If the salary were high, the job would be worth doing. 2. Would you visit me if I were sent to prison? 3. I didn’t see the signal, so I didn’t stop. 4. If I were rich, I could afford to buy an expensive car. 5. If I were you, I would tell him the truth. 6. If he weren’t busy right now, he could help them. 7. If she had said sorry, he wouldn’t have been angry. 8. If the computer hadn’t broken down and I wouldn’t have had to stop my work. 9. If he hadn’t been angry, I would have said something. 10. If his friends hadn’t been late, they wouldn’t have missed the train. VIII. Rewrite these sentences, using inversion with SO OR SUCH. 1. The weather is so beautiful that we decided to go to the beach. 2. He is so strong that he can lift the box. 3. He is such a lazy boy that no one likes him. 4. He ate so much food that he became ill.
5. It is such hot coffee that I can't drink it. 6. He bought so many books that he didn't know where to put them. 7. She has such a soft voice that everyone likes her. 9. He was such a fast speaker that we couldn’t understand him. 10. She was so tired that she fell asleep in the armchair. 11. It was such a foggy day that we couldn’t see the road. 12. This tea is so good that I’ll have another cup. IX. Rewrite each of the following sentences with the given words in such a way that it means the same as the sentence printed above it. 1. He spent all his money. He even borrowed some from me. 2. He had hardly left the office when the telephone rang. 3. I had only just put the phone down when the boss rang back. 4. He didn’t finish his work until the bell rang. 5. We only began to see the symptoms of the disease after several months. 6. I have never seen anyone in my life drink as much as you. 7. A sleeping dog was lying under the table. 8. His brother had rarely been more excited. 9. The facts were not all made public until later. 10. If I had realized what would happen, I wouldn’t have accepted the job. 11. The response to our appeal was so great that we has to take on more staff. 12. Harry broke his leg, and also injured his shoulder. 13. The police didn’t at all suspect that the judge was the murderer. 14. If you do happen to see Helen, could you ask her to call me? 15. The bus driver cannot be blamed for the accident in any way. 16. The snowfall was so heavy that all the trains had to be cancelled. 17. If the government raised interest rates. They would lose the election. 18. As soon as I got into the bath, someone knocked at the door. 19. There was so much uncertainty that the financial markets remained closed. 20. It’s not common for there to be so much rain in March. 21. You won’t allowed in until your identify has been checked. 22. Just after the play started there was a power failure. 23. The Prime Minister has hardly ever made a speech as inept as this. 24. We had only just arrived home when the police called. 25. Press photographers are banned from taking photographs backstage. 26. The way so much money has been spent to so little purpose must be a record. 27. The judge was taken ill just after the trial proceedings began. 28. She seldom misses a lecture. 30. As soon as we had turned on the TV, the electricity went out. 31. I have never been embarrassed like that! 32. She had never experienced this exhilarating emotion in her life. 34. I have seldom seen him looking so miserable. 35. As soon as I had got out of the bed, the phone rang. 36. As soon as he had finished dinner, she walked in the door. 37. I only understood the problem then. 38. 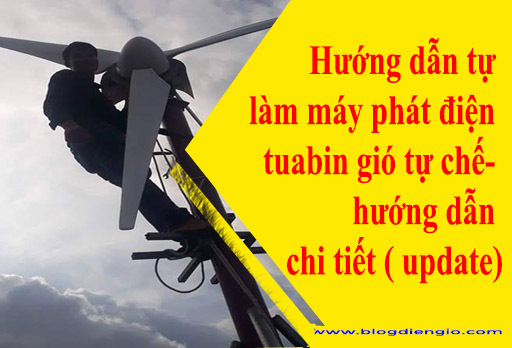 We will be only able to accomplish this great task by working hard. 39. You can only pass this exam by studying hard. 40. You can only understand it when you grow up. 41. I can only forgive you if you tell me the truth. 42. I only realized that I'd seen it before after the film started. 43. The situation was so strange that I couldn’t sleep. 44. The test is so difficult that students need three months to prepare. 45. The exercise is so easy that every students can do it easily. 46. He not only studies well, but also he sings well. 47. If you meet her, please call me! 1. She had never been so happy before. => Never before had she been so happy. 2. I have never heard such nonsense! 3. I have never seen such a mess in my life. 4. Our profits have never been higher than they are this year. 5. The film had never before laid on such a sumptuous celebration. => Never before had the film laid on such a sumptuous celebration. 6. I've never come across such a horrifying film. => Never have I come across such a horrifying film. 7. I've never been so moved by a Shakespeare production. => Never have I been so moved by a Shakespeare production. 8. I had never tasted such a wonderful combination of flavors before. 9. I never go to school late. 10. I have never seen anyone in my life drink as much as you. => Never in my life have I seen anyone as much as you. 11. I'll never forget you. 1. One rarely finds good service these days. 2. She has rarely travelled more than fifty miles from her village. 3. Public borrowing has seldom been so high. 4. They had seldom participated in such a fascinating ceremony. => Seldom had they participated in such a fascinating ceremony. 5. They little suspected that the musical was going to be a runaway success. => Little did they suspect that the musical was going to be a runaway success. 7. She didn't realize what would happen to her next. => Little did she realize what would happen to her next. 1. He is my friend as well as yours. 2. He not only spent all his money but also borrowed some from me. 3. Harry not only broke his leg but also injured his shoulder. 4. He is both intelligent and handsome. => Not only did the bus crash into a tree but it also ran over a cat. => Not only did she write the text but also selected the illustrations. => Not only is she beautiful but also attractive. => Not did he translate fast but also correctly. => Not only are they good at mathematics but also at science. => Not only does she sing but also dances. => No sooner had he left the office than the telephone rang. => Hardly had I just put the phone down when the boss rang back. => Rarely had his brother been more excited. => Had I realized what would happen, I wouldn’t have accepted the job. 1. He only thought about having a holiday abroad after he retired. => Only when I got home did I realize how dangerous the situation had been. => Only after seeing Hamlet on the stage did I understand it. => Only until they had finished eating did they get around to business. => Only after they had waited for 12 hours did their flight leave. => Only later did I realize who he was. => Only using force could the door be opened. => Only until Tom's apologized will I agree. => Only by training hard every day can you become a good athlete. => Should the Government be forced into another election, it will be the favorite to win. => Should you have further problems with your printer, contact your dealer for advice. => Should you decide to accept the post, you will be expected to start work on 1st April. => Should we hear any further news, we will be in touch immediately. => Should you wish to take advantage of the offer, kindly tick the box on your order form. => Should you change your mind, there will always be a job for you here. => Were the salary high, the job would be worth doing. => Were I sent to prison would you visit me? => Had I seen the signal I would have stopped. => Were I rich and I could afford to buy an expensive car. => Were I you, I would tell him the truth. => Were he not busy right now, he could help them. => Had she said sorry, he wouldn’t have been angry. => Had the computer not broken down and I wouldn’t have had to stop my work. => Had I he not been angry, I would have said something. => Had his friends not been late, they wouldn’t have missed the train. => So beautiful is the weather that we decided to go to the beach. => So strong is he that he can lift the box. => Such a lazy boy is he that no one likes him. => So much food did he eat that he became ill.
=> Such hot coffee is it that I can't drink it. => So many books did he buy that he didn't know where to put them. => Such a soft voice does she have that everyone likes her. => So boring is this book that I couldn’t finish it. => Such a fast speaker was he that we couldn’t understand him. => So tired was she that she fell asleep in the armchair. => Such a foggy day was it that we couldn’t see the road. => So good is this tea that I’ll have another cup. => Not only did he spend all his money but she also borrowed some from me. => No sooner had I left the office than the phone rang. => Hardly had I put the phone down when the boss rang back. => Not until the bell rang did he finish his work. => Only after several months did we begin to see the symptoms of the disease. => Never in my life have seen anyone drink as much as you. => Under the table was lying a sleeping dog. => Only later were all the facts made public. => Not only did Harry break his leg but he also injured his shoulder. => Little did the police suspect that the judgment was the murderer. => Should you see Helen, could you ask her to call me? => In no way can the bus be blamed for the accident. => So heavy was the snowfall that all the trains had to be cancelled. => Were the government to write interest rates they would lose the election. => No sooner had I got into the bath than someone knocked on the door. => Such was the uncertainty that the financial markets remained closed. => Seldom is there so much rain in March. => Only when your identity has been checked will you be allowed in. => Hardly had the play started when there was a power failure. => Rarely has the Prime Minister made so inept a speech. => Scarcely had we arrived home when the police called. => On no account are press photographers allowed to take photographs backstage. => Never before has so much money been spent to so little purpose!. => Barely had the trial proceedings begun when the judge was taken ill.
=> Hardly had we turned on the TV, the electricity went out. => Never have I been embarrassed like that! => Never in her life had she experienced this exhilarating emotion. => Seldom has he seen anything stranger. => Seldom have I seen him looking so miserable. => Scarcely had I got out of bed when the doorbell rang. => No sooner had he finished dinner than she walked in the door. => Only then did I understand the problem. => Only by hard work will we be able to accomplish this great task. => Only by studying hard can you pass this exam. => Only when you grow up, can you understand it. => Only if you tell me the truth, can I forgive you. => Only after the film started did I realize that I'd seen it before. => So strange was the situation that I couldn't sleep. 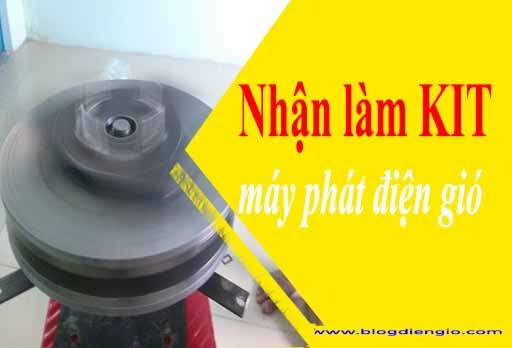 => So difficult is the test that students need three months to prepare. => So easy is the exercise that every students can do it easily. => Not only does he study well, but also he sings well. => Should you meet her, please call me! => Had you obeyed orders, this disaster would not have happened.